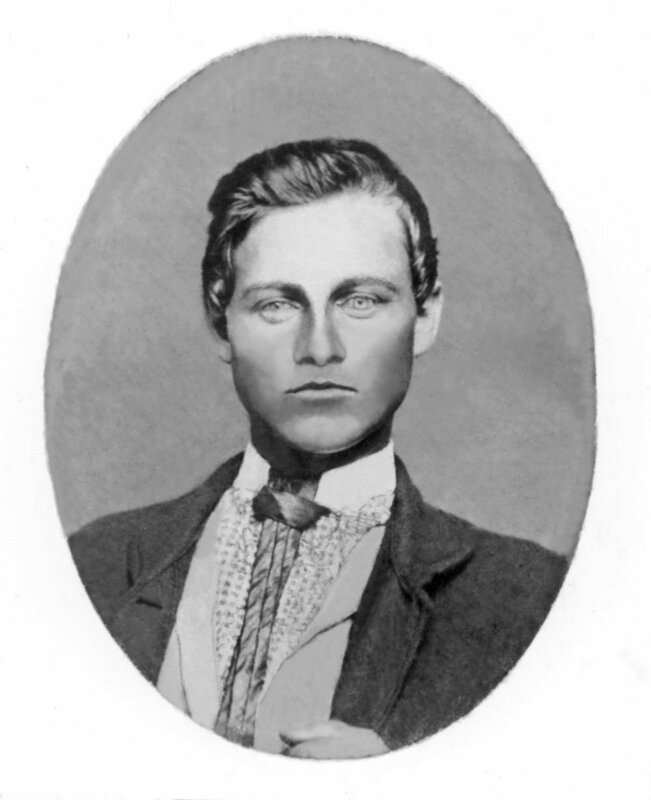 Lola's father, Leander served as Corporal in the Union Army for the State of Indiana. Lola's mother, Mrs. Anna Sophia Schooley. ▪ On March 7th, 1876 Alexander Graham Bell was granted a patent for an invention he called "The Telephone" ... 3 days later on March 10th, Bell makes the first successful call by saying "Mr. Watson, come here, I want to see you"
"Death of Miss Lola Schooley. From the Tampa (Fla.)Daily Times. The numerous friends of Miss Lola Schooley and her family were shocked beyond expression yesterday afternoon that an apparently trifling ailment had developed into a fatal seizure of acute gastritis, and that but two hours had elapsed from the attack until it ended in death. Miss Schooley was in her nineteenth year, and was possessed of rich graces of character. Modest, refined, intelligent, energetic, she was a model of sweet young womanhood. 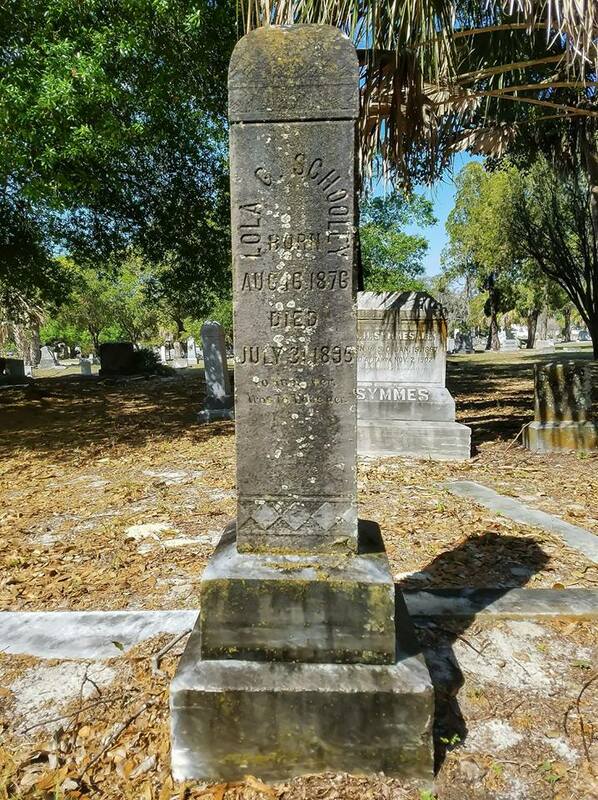 She was a devout Christian and an active member of the Endeavor Society, from among whom were chosen the bearers who conveyed her body to its last resting place. The funeral was from the Congressional church at three o'clock this afternoon, Rev. E. P. Herrick being the officiating minister. The floral tributes were numerous, and some of them patletic, tender, and beautiful in their appropriate significance. The bearers of the casket escorted by a group of young ladies in white, were Elmer Irwin, Rufus Harris, George Rushing, John Haynes, Stanley Joyce and Arthur Shaw. 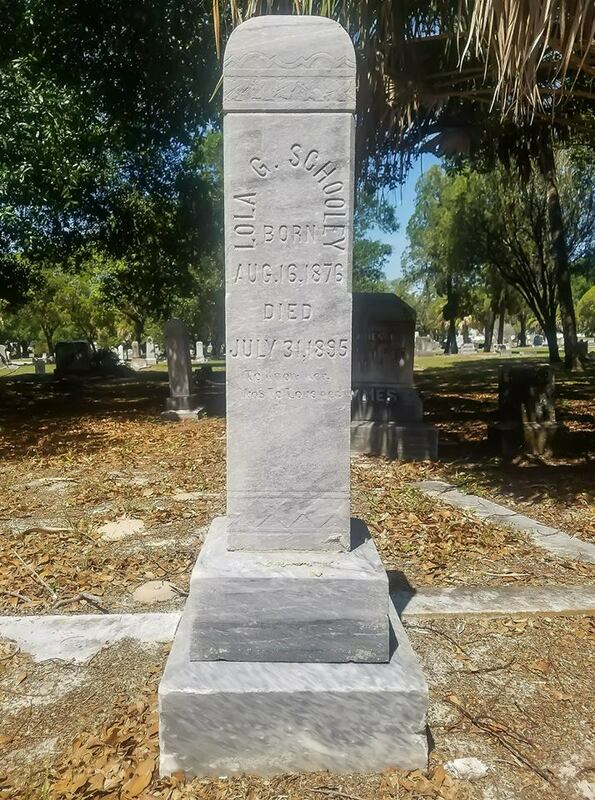 The lamented young lady was the daughter of Mr. and Mrs. L. Schooley, who reside on Franklin street, and who came from Kansas to Tampa about six years ago. To the afflicted parent and brothers and sisters goes out unmeasured sympathy, while many a tear moistens the sod that tenderly enwraps the mortal tenement of the pure young soul untimely called away."